Large lakes such as Paijanne and Vanaja, numerous smaller lakes and several fine rapids make Hame a superb region for recreational fishing. Vesijarvi in Lahti is one of Finland's best-known lakes for pike-perch. There's far more to Hame than great fishing grounds. The region is also home to enterprises providing quality fishing programmes and accommodation. Since they are just 1-1,5 hours from the Helsinki Metropolitan Area, the rich fishing waters of Hame are within easy reach. There are good waters for fishing perch, pike-perch and pike in the region and it's not unusual to catch trout either. For net fishers, many lakes provide good catches of vendace. Recent years have seen a major improvement to the crayfish population in many lakes and crayfish licences are now much more easily available. Visit www.fishing.fi/hame for more information about the diverse opportunities for recreational fishing in Hame. Lehmonkarki is a beautiful headland at the altitude of Pulkkilan-harju ridge in South Paijanne. Paijanne is Finland's third largest lake in terms of surface area. Paijanne is the deepest lake in Finland, Ristinselka, off of Rappu-kallio, measures 95.3 metres, the average depth is 16.5 metres. The lushness, water quality and shore landscape of this 1 20 kilometre-long lake vary. South Paijanne is rugged and has clear water. The main catches are pike, pike-perch (zander), trout and lake salmon. Kalkkistenkoski rapids rank among the most important rapids in Finland and are an inseparable part of Finnish sports fishing history. The area is home to world famous Rapala and Nils Master. The rapids are expansive and have a strong current. The head of the rapids is over 100 metres wide and the waters are some 1.5 kilometres long. The rapids offer diverse fishing opportunities. The clear waters of the river Tainionvirta begin in lake Jaasjarvi in Hartola and empty into lake Paijanne in Sysma. 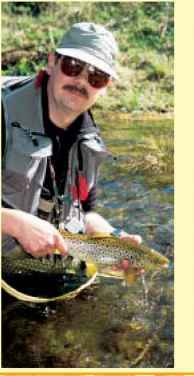 Catches include trout and grayling and, downstream, also rainbow trout as stocked. The rapids along the river Tainionvirta are easily accessible by road. The rapids flow quite peacefully. Distances: Helsinki 140 km, Lahti 40 km, Vaaksy 14 km. Spin fishing or fly-fishing on the river Tainionvirta and Kalkkisten-koski rapids. Fishing is usually from the banks, although boats may be used in places down river. Wading is easy in the river Tai-nionvirta and fish are easily caught. On lake Paijanne, fishing is usually from a boat or fishing boat. Whilst casting and trolling are the most common forms of fishing, fly-fishing also brings results. Teaser lure fishing is also possible. Fishing is at various depths. One interesting fishing site is the lagoon-like bays of the esker island of Kalvene in Paijanne National Park. Fly-fishing tackle class 4-5, rod 89' and lightweight casting-based tackle are ideal for these sites. It's also worth bringing along a selection of trolling and casting-based tackle on lake Paijanne, depending on which species you wish to fish and how. Fishing on lake Paijanne is from registered fishing boats for 12 persons or from console boats. The boat is fitted with two 20 hp outboard motor, has a chemical toilet and life jackets or flotation suits for all passengers. The trolling boats have echo sounders (some have rigging), rod holders and trolling rods with spinning reels. Sales organisations Lahti Travel Ltd.
€1800 for 3-4 persons €1900 for 5 persons €2000 for 6 persons Price includes fishing trips, fishing tackle, services of a guide, fishing permits, the catch, breakfast, picnic lunches and coffee, dinner, flotation jackets, accident insurance, transfers from the airport (Helsinki-Vantaa). All prices include VAT. Fishing packages can not be reserved without accommodation. Customers should bring their own equipment depending on the weather. Extra charge: Boat on river Tainionvirta. €650 per group of 3-6 persons including airport transfers and transfers between sites if own vehicle is not available. We can also book cars from a car hire company on the customer's account. Ask for a quotation! Rapids fishing day with local guide on the river Tainionvirta at Sysma or Hartola. Lunch of salmon soup and campfire coffee on the river bank. The trip lasts about 8 hours. A look at Nils Masters production at Kalkkinen and a trip to Kalkkistenkoski rapids, incl. meals. Duration about 8 hours. 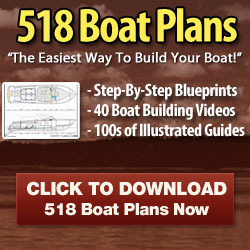 Guided fishing trip on a fishing raft (incl. fishing tackle). Duration 4-5 hours. Picnic lunch and, weather providing, campfire coffees. Accommodation includes bed linen. Alternative accommodation also available. Visit our website for more detailed information and photos of lodgings. Viitamôkit offers luxury fully equipped holiday cottages near the lake Onkivesi, Maaninka. Accommodation is max 8 persons. 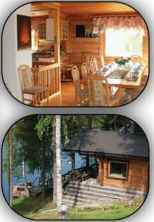 All cabins have sauna, toilet, shower, kitchen and fireplace. English speaking guiding is available and guiding fees are included into the program price. Cast with your own casting equipment. The catch includes rainbow trout, pike perch, lake troutand pike. Price: 39€/ person, including 6 hours fishing licence, catches and snack, barbecue sausages on the camp fire. You will be accompanied with a guide. 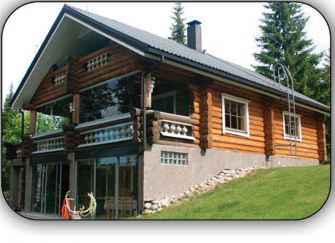 3 floors log villa 270 sq. m located on the river bank. Totally there are 11 sleeping places, living room, 2 kitchens, 3 toilets (on each floor), 2 terraces, balcony, sauna, Jacuzzi bath, shower. There is a river side sauna on the river bank 15m from main house and fully equipped picnic tee pcc. Distances: 36 km to nearest town Kiuruvesi, 100 km to Kuopio airport. Number of guests: 4 to 12 persons English speaking guiding is available and guiding fees arc included into the program price. After fishing day in Kasari there is a sauna opportunity by the lake, where you can enjoy your evening. In addition to sauna you can take part in various games and activities at Fishermen's Lodge. The Finnish tradition food and drinks will be offered.